Regulatory compliance is not optional. Failing to meet the requirements can have a significant impact on the long-term success of your company. Penalties and fines are just the tip of the iceberg; the actual costs lie in shutdowns, attorney fees, increased insurance, employee turnover and damage to brand reputation – to name a few! 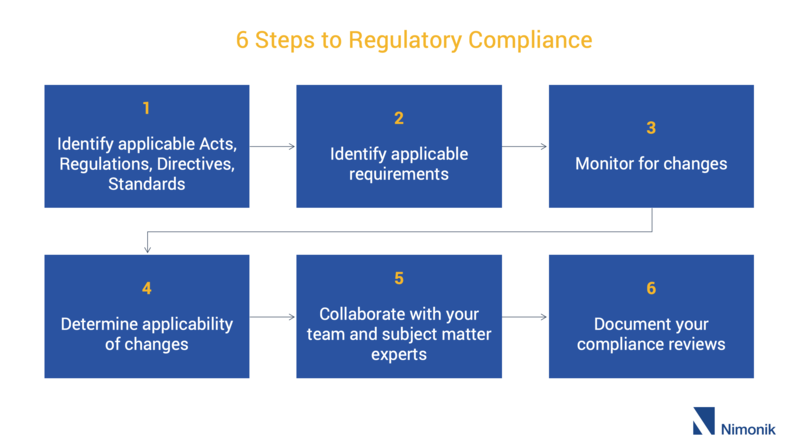 Regulatory compliance is not a one-off solution. Your requirements change all the time as laws evolve, get stricter, and new ones are introduced. If you have a management system (i.e. ISO 14001), you must stay up-to-date and maintain complete documentation of your reviews of changed regulatory requirements. Knowing which laws, by-laws and regulations apply to your operations at the various levels — federal, state / provincial, and municipal — is not an easy task. You have to find a reliable source for legislation that is complete, accurate, and up-to-date. Also, every law has its own unique structure, which makes its correct interpretation a challenge. Certain jurisdictions consolidate their laws (i.e. Canada & United States), while others do not (i.e. Netherlands), forcing you to consult both the original law and all of its amendments! Not all requirements within a regulation are likely to be applicable to your operations. Because compliance costs time and money, it’s important to identify the relevant requirements, not miss key requirements, and to clearly understand applicability of requirements. It is not uncommon to misidentify requirements as applicable, only to realise the mistake after having spent thousands of dollars trying to meet those requirements. Understanding requirements is quite a challenge considering laws are written in ‘legalese’ with references to other documents, tables or charts. Understanding the meaning and the practical implications of law is challenging for even trained EHS Managers. Often governments issue Guidance Documents to help you understand the requirements, which are helpful to wrap your head around the Government’s interpretation of their own regulations and how they plan to implement them. The task gets further complicated as many laws refer to standards that are not available for free and depending on the industry can cost thousands of dollars to access. We have blogged about that here. Requirements change constantly and you have to stay up-to-date. Relying on sporadic emails from law firms, industry associations, and government agencies can be very time-consuming and largely incomplete. A thorough monitoring job requires a keen eye for details. 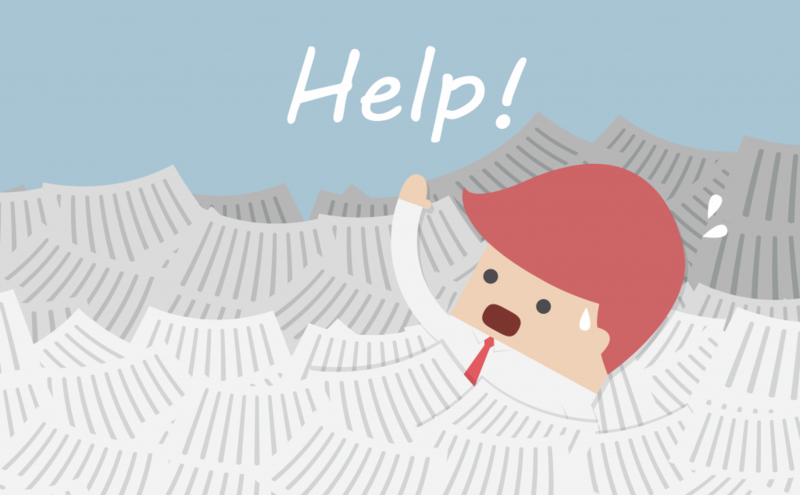 Considering the volume of documents you need to keep an eye on, it quickly becomes challenging to track regulatory changes while pursuing excellence in your core business. For instance Nimonik covers over 100,000 regulations and just the manufacturing operations are subject to over 200 regulations for EHS issues alone. If you think tracking for changes at the Federal and Provincial or State level is hard, try staying up to date with municipal requirements – many by-laws are not even published online! 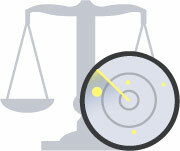 Once you come across a change in an applicable law, you have to analyze if the change applies to your operations. If it does, you may need to implement procedures or training or advise the appropriate people. The analysis of regulatory changes can become a rabbit hole of research. Outsourcing that research can be a real time saver and also provide a certain assurance of quality control. When the person or team completes the task, they should report back and include evidence of implementation. With the large number of changes happening each month, you should consider the costs of doing it manually. Trying to tackle this communication and follow-ups with a mix of Email, Excel and Word files can be time-consuming, high risk and inefficient. Solutions like Nimonik to do it seamlessly for you at a much lower cost. If you have a management system, you are required to maintain evidence of your compliance reviews. Even without a management system, some jurisdictions (i.e. UK) have regulations requiring you to do this! At the time of an audit, your evidence of review must be readily available to the auditor if you want to save yourself an audit finding and a headache. A software solution with integrated regulatory data and annotation tools can save you the trouble of trying to piece Humpty Dumpty (Excel, Word, Email!) back together during a stressful audit. At Nimonik, we believe you should focus on your core business and not on regulatory changes. You should receive alerts when applicable requirements change and be able to collaborate on the changes with your team. This should seamlessly integrate into automatic logs for compliance review and reports for auditors. In an ideal world, you should be up-to-date with all applicable laws and should be able to demonstrate your compliance at the click of a button. Nimonik can make this happen at your organization. To learn more and discuss your specific compliance needs, get in touch.